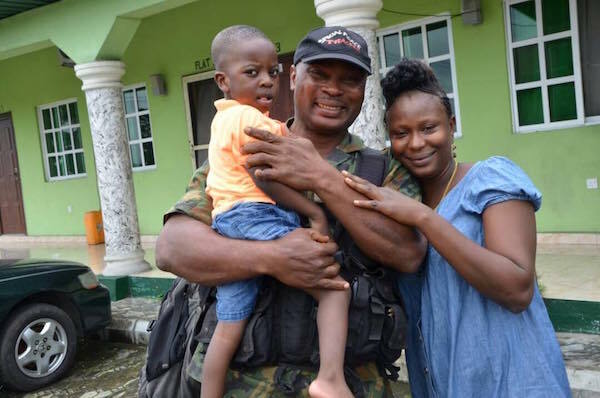 A Nigerian soldier surprised his family after returning from Boko Haram fight following Nigerian Army rotation of overstayed troops operating in the northeast as part of Operation LAFIYA DOLE. 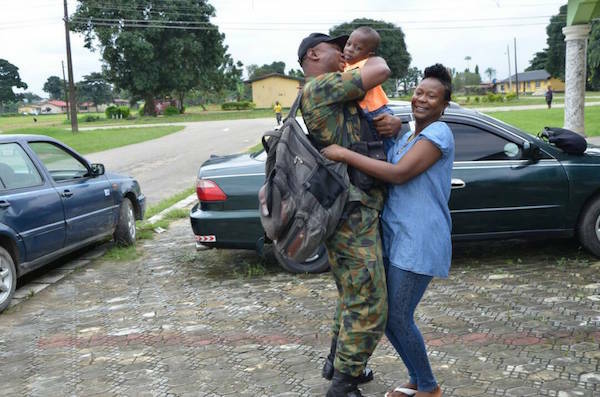 Soldiers of 29 Battalion based in Port Harcourt have been rotated and returned to their main unit amidst cheers and jubilation from their families and colleagues. The troops have served in various units under Operation LAFIYA DOLE where they contributed immensely to the successes of routing out and defeat of the Boko Haram terrorists in the North East. In his address to the returnee troops, the General Officer Commanding (GOC) 6 Division Nigerian Army, Major General EO Udoh, welcomed the troops back to their unit after a successful tour of duty in the North East and applauded them for their selfless sacrifices to the nation. He further enjoined them to pray for their colleagues who are still in the theatre for God’s protection and continued victory over the remnants of the enemies of our great nation, Boko Haram terrorists. The GOC further reassured the troops on their welfare and that of their families. 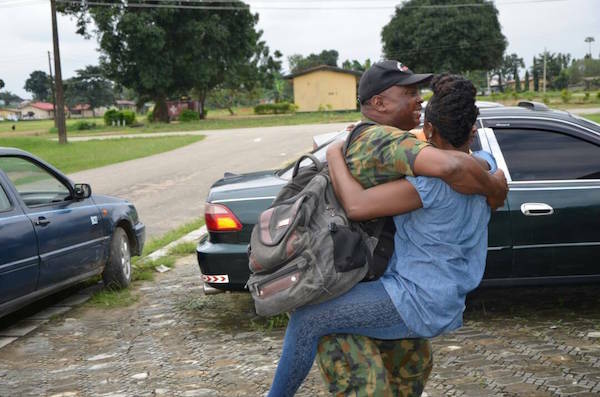 He also enjoined the troops to remain professional in discharging their duties with the love of their country at heart as they would soon be deployed for the Division’s routine operations after their disembarkation leave. 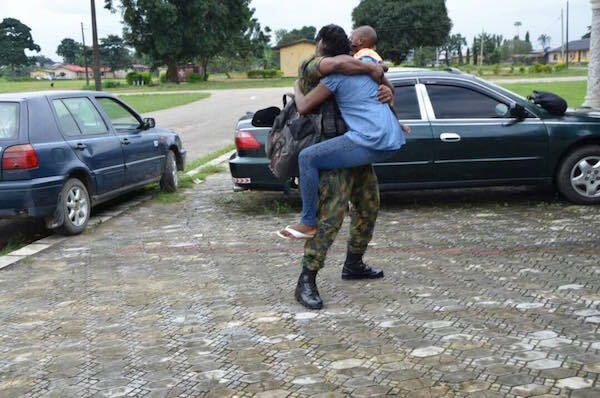 The rotation of overstayed soldiers in Operation LAFIYA DOLE is ongoing as more troops are being inducted while those that stayed long are de-inducted from the theatre of operations. Adeola, I am happy for him and his family. 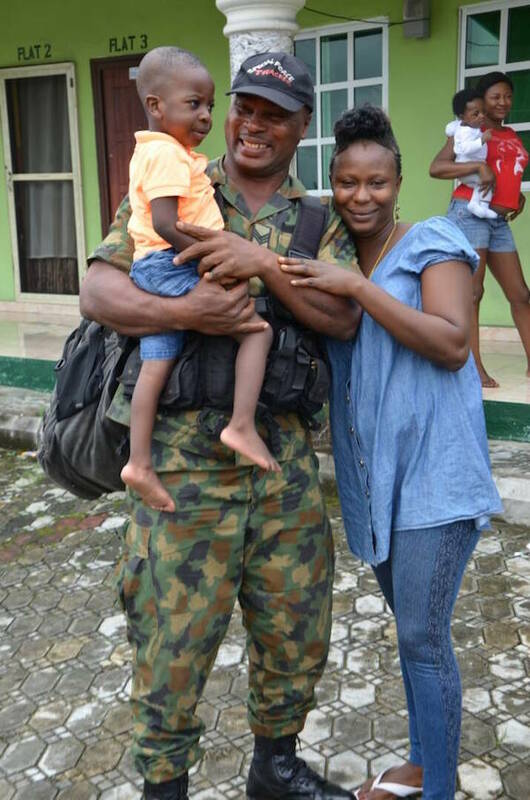 My brother-in-law, L/Cpl Haruna Taiwo from the batallion in Ojo Cantonment has not been heard from in the last four years of being posted to Maiduguri and no word is coming from the military authorities on the issue. The trauma of this situation to his wife and two children and indeed the entire family including his aged father, is untold. Now, only two weeks ago, the military authorities have again posted his twin brother, Haruna Kehinde to the same Maiduguri. Who can help find Taiwo Haruna?